Now here’s a game I’ve actually played! Albeit, not in a very long time. Back in my achievement hunting days, I’d call this “an easy 200.” Gamerscore that is, but in truth, this was actually a decent golf game. Even with the limited experience I had with golf games, I was able to jump right in and have a good time. The only downside was the limited amount of content – reading about it now, the game has two courses (both 18 holes) with an additional one available for purchase. Pretty weak, still, for the handful of days that I played it, it was enjoyable and the online multiplayer was a plus. 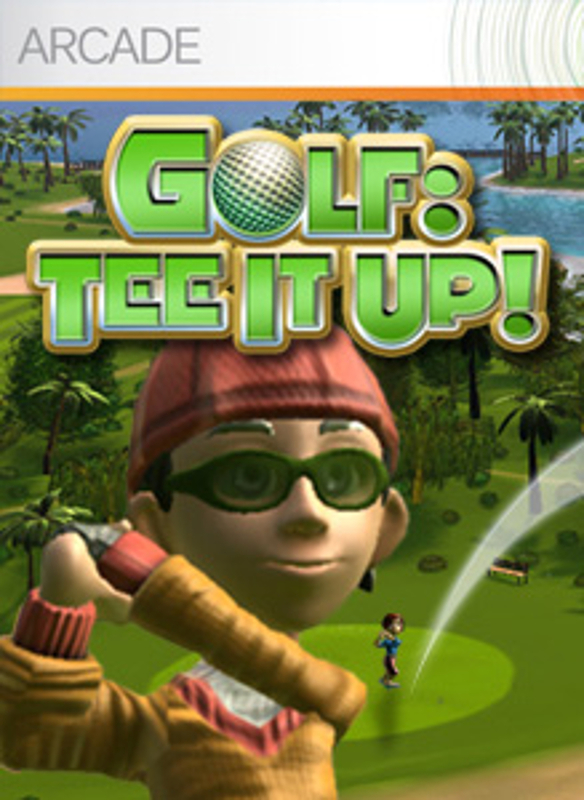 Golf: Tee It Up! 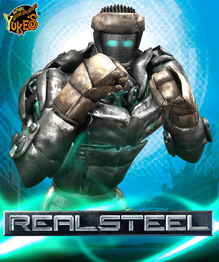 was developed by Housemarque, most recently known for their standout efforts on PSN, such as Super Stardust HD. It was published by Activision on Xbox Live Arcade on July 9, 2008. Ever since I can remember, my dentist’s office has had a few arcade cabinets. Between them were the likes of Ms. Pac-Man, Centipede, and Frogger, but my favorite was Galaga. The others were awesome, but there was something about the space setting and the shoot ‘em up gameplay that drew me in, and continues to do so. The port for Xbox Live Arcade was the first time I owned a home version of the arcade classic. As best as I can tell, it’s an arcade perfect port with minimal bells or whistles. It’s also an easy 200 Gamerscore, not that that matters, or anything (maybe a little). It’s a fine version of one of the best and most influential arcade games of all time. Galaga was originally developed by Namco released as an arcade game in North America in December 1981. This port was published by Namco Bandai Games on July 26, 2006. 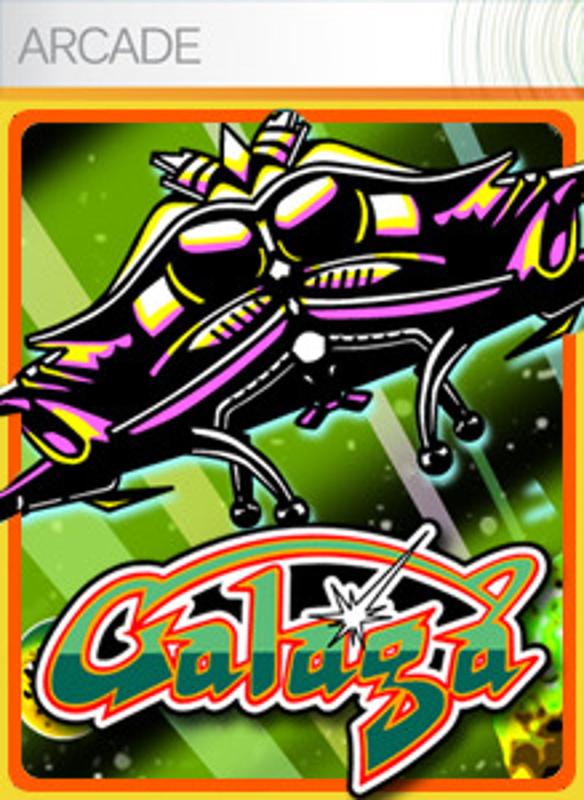 Outside of a Japanese release on the Wii’s Virtual Console, this is the only standalone digital release of Galaga on the seventh generation video game consoles. However, it was released on many Namco compilations, and that’s without a doubt the best way to own it. Like a computer-animated film in video game form. Twisted Pixel has been making a name for themselves in the past few years for developing critically and commercially successful games on the Xbox 360. 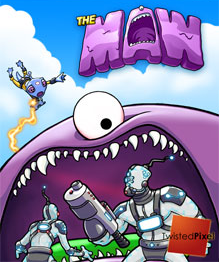 Their first stepping stone to prominence was The Maw, released for Xbox Live Arcade on January 21, 2009 via publisher Microsoft Game Studios. 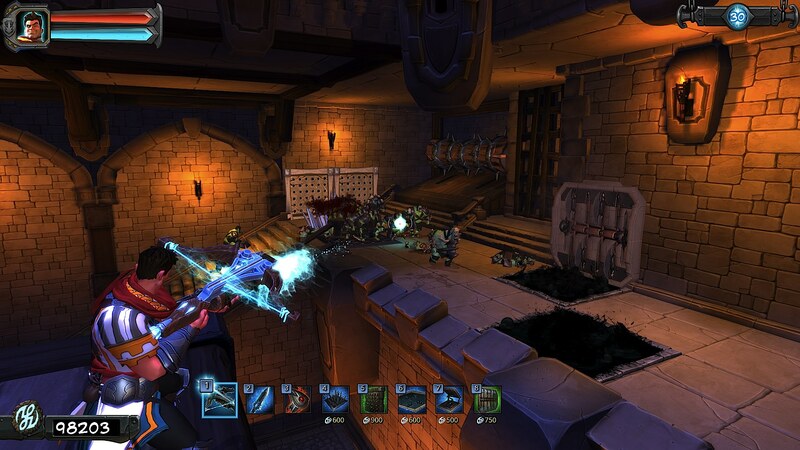 The Maw opens up with a cutscene showing Frank, the alien I controlled, getting thrown into a jail cell. Riding in a space ship that soon crashed, there were creatures all around Frank, most importantly was the Maw. After the crash Frank and the Maw were on their way to freedom. They soon came upon these small, cute creatures, which the Maw happily ate. After eating a few more he grew larger. This trend continued throughout the game and the Maw became enormous. There were some creatures that also gave the Maw special abilities. The abilities were interesting but they didn’t stave off the boredom that grew on me. I had to feed the Maw until we were able to continue on to the next area or stage and that was it. The abilities added a new element, break this or fly over that, but I still needed to eat a lot of creatures. I led the Maw around each stage as I attempted to find more edible creatures and this didn’t do it for me. Throughout the game there was one aspect I really enjoyed and that was the cutscenes. They were told exclusively through body language and they routinely put a smile on my face. Frank and the Maw had a good chemistry and it seemed like they needed each other to succeed; one was the brains and the other was the brawn. Frank could make the Maw crash into the ground and break objects when he was in this mode. I didn’t really enjoy the gameplay of The Maw but it was short enough that by the time I got bored with it I was close enough to beating it to simply plow through. The highlight for me was the production. Twisted Pixel had a solid vision for the game and they nailed it. The visuals and soundtrack were comparable to a CGI movie and the interactions between Frank and the Maw routinely put a smile on my face. Not too shabby for an initial stepping stone. Ensemble Studios was an influential video game developer throughout the 1990s and 2000s. They worked almost entirely on real-time strategy games and on the PC to boot, so I haven’t had any exposure to them. They were shuttered by Microsoft a few years ago and as is the case with many shuttered developers, a few smaller studios form afterwards. 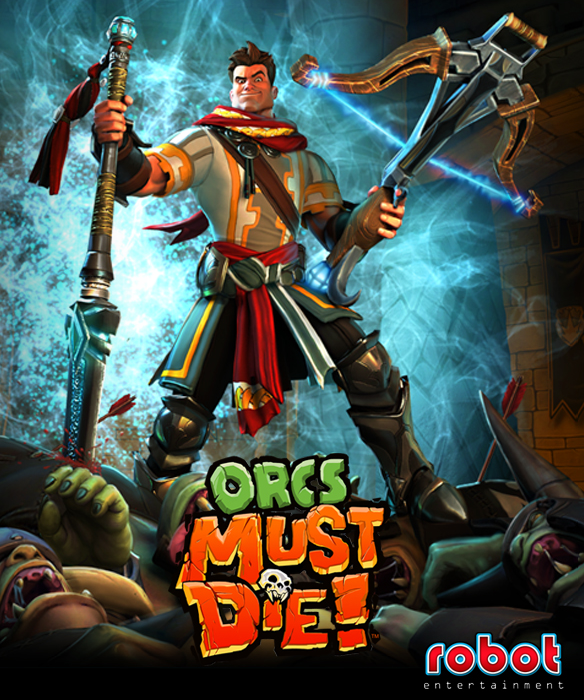 Robot Entertainment is one of those studios and they have a new game called Orcs Must Die! If it’s not clear from the title, a lot of orcs die in the game, and the character I played as (the war mage) did let’s say ninety percent of the killing. The impression I got from the intro cutscene was the war mage was inept, but I found that to be far from the case. He had many tools at his disposal even in the demo and placing familiar booby traps and watching orcs run through them was entertaining. 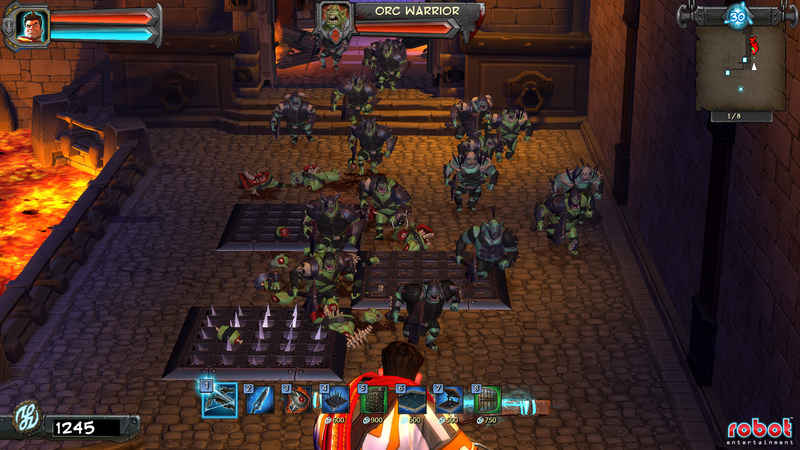 I played the demo version of Orcs Must Die and found the setup funny. A powerful mage has been killing orcs for a long time, preventing them from entering rifts and causing much chaos. One day this mage slipped on blood and cracked his head open, leaving this very important task to his naïve apprentice. Naturally I play as his apprentice, who happens to be a war mage, one who can use magic, swords, and crossbows. Unsuspecting orcs, running across spike traps. Once the intro cutscene ended I was given control and I filled up a hot bar for quick access to my weapons and traps. I had two weapons throughout the demo that allowed me to deal with the orcs directly, a crossbow and a sword. They were both easy to use and effective, but it’d be mighty hard to hold back the orcs with these weapons alone. The most interesting aspect of the game was my ability to set traps. The stages I played on were very linear; all three were hallways in fact, so the orcs didn’t have much of a varying path. In fact, I could see the path the orcs would take via lines making it even easier to set traps. I believe a new trap is unlocked with the completion of each stage and I had access to a few in the demo. The first two I had access to could be placed on the ground. One was a spike strip and the other a tar pit that would slow orcs down. Another I could place on walls and it shot arrows at orcs whenever they passed. The last one I unlocked was an exploding barrel that would explode when I shot it with my crossbow. I developed a strategy early on by placing tar pits and arrow walls in the same path thereby slowing enemies down to make sure they get shot full of arrows. These traps weren’t free however, but my income was easy to come by. Each orc killed would give me some money and I could place traps on the fly. The war mage, taking aim at orcs before they cross the tar pits. The intial setup for Orcs Must Die! was amusing, but I don’t think there’s going to be any depth to the plot, and that’s fine because the gameplay was fun. I found it monotonous at first, but after I developed my tar pit/arrow wall strategy, a light clicked and I began thinking of other combinations. There weren’t many traps in the demo though so my experimentation went unfulfilled. 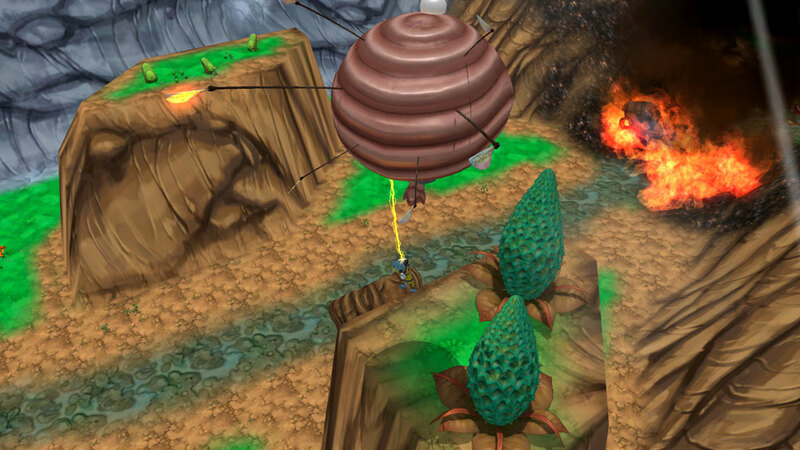 But, the full game promises many more traps and weapons to utilize on the game’s 24 stages. I don’t believe the game has co-op which seems shocking to me, but I found the gameplay to be a nice blend of mindless hack ‘n’ slash gameplay and strategy. Orcs Must Die! was released last week on Xbox Live Arcade and is being released this week on the PC. 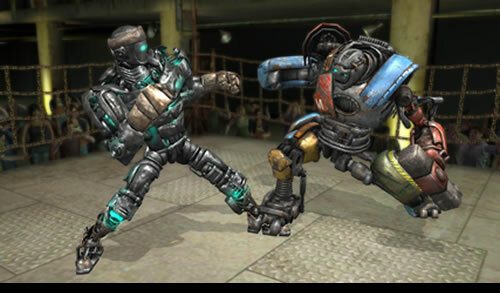 It was developed by Robot Entertainment and published by Microsoft Studios on XBLA. Eric Chahi designed From Dust. He also designed the early nineties game Out of This World. I've never played it but it's well regarded. Have you ever wanted to be a god? Have dominion over creatures and wield unimaginable control? Well From Dust satiates a few god-like desires. 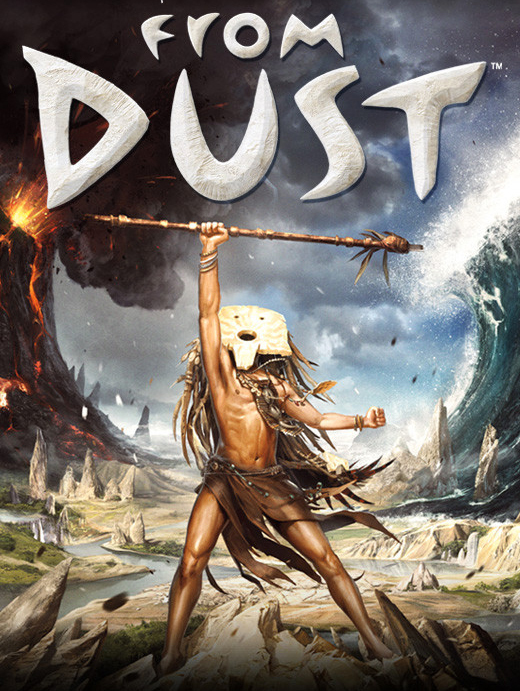 Developed by Ubisoft Montpellier and published by Ubisoft, From Dust is a downloadable video game where players take control of the breath, a visual representation of their influence. Appearing like a cursor, I was able to move it around the stages, highlight people or things, and most importantly, manipulate the environment. The demo opened with astounding visuals and sounds, showing me the people I would assist. They were tribal, resembling African Bushmen or Australian aborigines. A narrator got me up to speed as to what’s going on and my task. These tribal people needed to get somewhere; traveling through portals and I had to get them there. The stages I played consisted of a few islands spread about in clear blue water, very tropical and desolate. Before the portals would activate, the people had to build small villages. I led them to totems were they performed a ceremony and a village popped up around them. This also brought fauna and animals. More totems were located on separate islands. To transport the people to these islands, I had to use my powers. 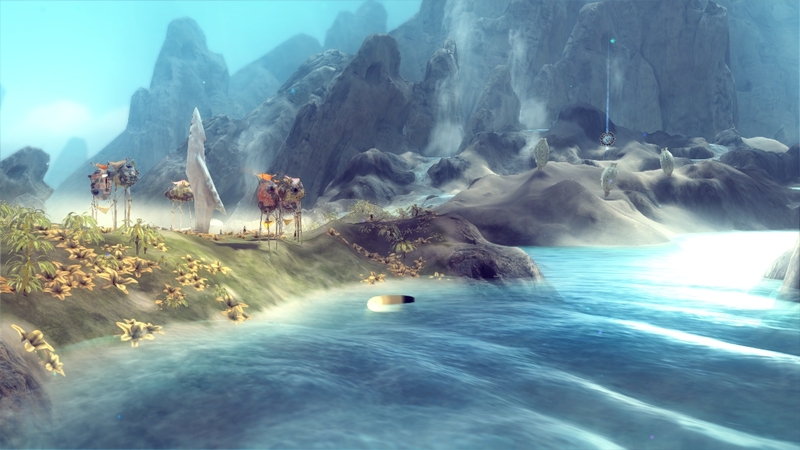 I could absorb certain types of terrain, sand or water for instance, and then disperse the terrain wherever I wanted. I had to link islands together by absorbing sand and dropping it to create land bridges. Spreading the sand was a little difficult for me, at least spreading it evenly. While the environments could be an ideal vacation spot, they start out desolate. Helping these tribal people out could be rewarding and I’m intrigued by the game, but the few stages I played in the demo had me doing the same thing: leading the people to totems and finally to a portal. The final stage saw a tsunami come, but all I had to do was lead one of the people to a rock and they learned a song to avoid it. It looked great and the concept was fun, but I’m fine with playing as much of From Dust as I did especially if the gameplay doesn’t change a lot throughout the game. From Dust was released at the end of July on Xbox Live Arcade, at the end of August on the PC, and it was just released this past week for PlayStation Network. Renegade Ops should be a blast co-operatively. Wow, I just played the demo for Renegade Ops and I think it is one hell of a game. I’ve written a lot recently about downloadable games and while I’ve enjoyed many of the games I’ve played, I didn’t purchase them immediately afterwards. Well I really dug the demo for Renegade Ops and I plan on purchasing it, a solid endorsement eh? In the demo for Renegade Ops I witnessed the plot setup and played through one stage. A madman has dropped a bomb on a city and is threatening to destroy more cities soon. A council of politicians is meeting to discuss what to do and they’ve decided in favor of negotiation over retaliation. That didn’t sit well with a high ranking officer and he has decided to take on the madman himself, with the aid of other renegades. The stage I played through was set in a tropical environment, in what could either be a South American or Asian country. I drove a vehicle around equipped with weapons and completed objectives as they were assigned. The game is played from a top-down perspective and I controlled my vehicle using both analog sticks; the left one to drive and the right one to shoot. The stage was very open and there was a lot to do. I had a secondary objective of rescuing hostages for the entire mission, but I was consistently being updated with timed primary objectives. Besides the environment looking gorgeous, the explosions are something else. 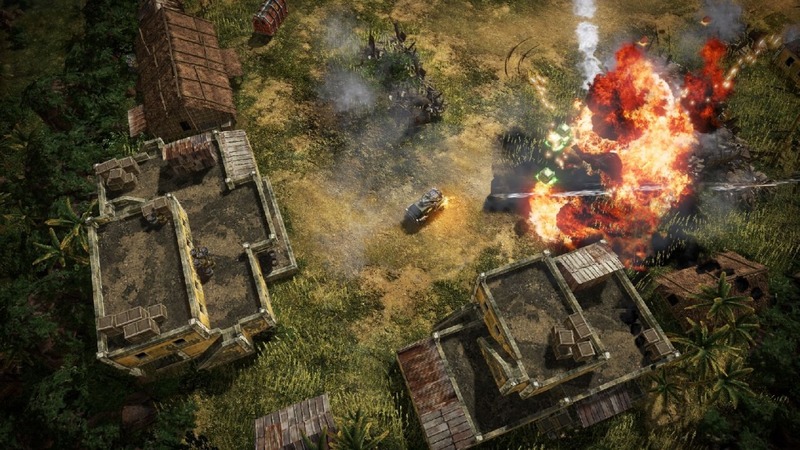 Renegade Ops looks to have a few hooks to keep players coming back such as leveling, upgradability, co-operative play for up to four including both split-screen and online play. The stage I played was a blast and it seems like the game will be very cool playing with a friend or two. The tropical environment looked gorgeous and I was surprised by the amount of destructibility. But I guess I shouldn’t be as it was developed by Avalanche Studios, the developer behind the Just Cause games. I’m really stoked about Renegade Ops after playing the demo and I plan on buying it, a ringing endorsement. 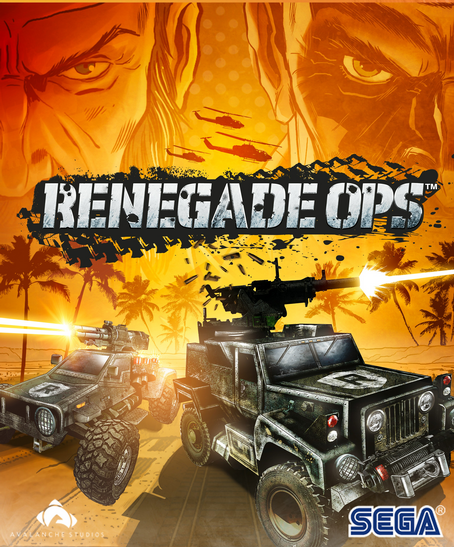 Renegade Ops is published by Sega and it was released this past week as a downloadable game for Xbox Live Arcade and PlayStation Network, with a PC release coming.